Redlands Rotary Club | Drawing for Local Student Scholarships – Win a Car! Drawing for Local Student Scholarships – Win a Car! 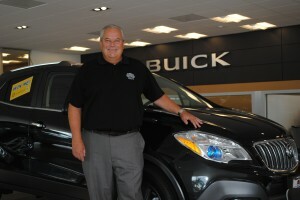 Congratulations to Ed Haddad or Redlands who won the 2013 Buick Encore in our recent drawing! Information about the drawing we had is available below. REDLANDS, CA – Celebrating 93 years of service to Redlands, the noontime group of the Rotary Club of Redlands will hold an opportunity drawing to raise funds for local student scholarships on October 25, 2013. The grand prize is a 2013 Buick Encore car donated by Rotarian Bill Hatfield, owner of Hatfield Buick-GMC in honor of their 100th Anniversary. Tickets for the drawing are $25 and all money raised goes directly to the Rotary Club of Redlands Foundation for local scholarships and other community programs. Redlands. “As a nonprofit, all of the Foundation’s funding comes from voluntary contributions made by Rotarians and friends who share our vision of helping Redlands young people with their education through its scholarships and other activities such as literacy programs, mentoring, and career preparation. At the international level the Club focuses on the eradication of polio. Rotary, a global network of community volunteers, is one of the largest and most influential international humanitarian service organizations worldwide. Founded in Chicago in 1905, today over 1.2 million members belong to 33,000 Rotary Clubs in more than 200 countries and geographical areas. With 98 current members, the noontime group of the Rotary Club of Redlands was founded in 1920 and since then as volunteers, conduct projects and fundraisers to provide humanitarian service in our area, and throughout the world. The drawing will be held on Friday, October 25, 2013 at 8pm at Hatfield Buick-GMC located at 301 E. Redlands Blvd., Redlands.